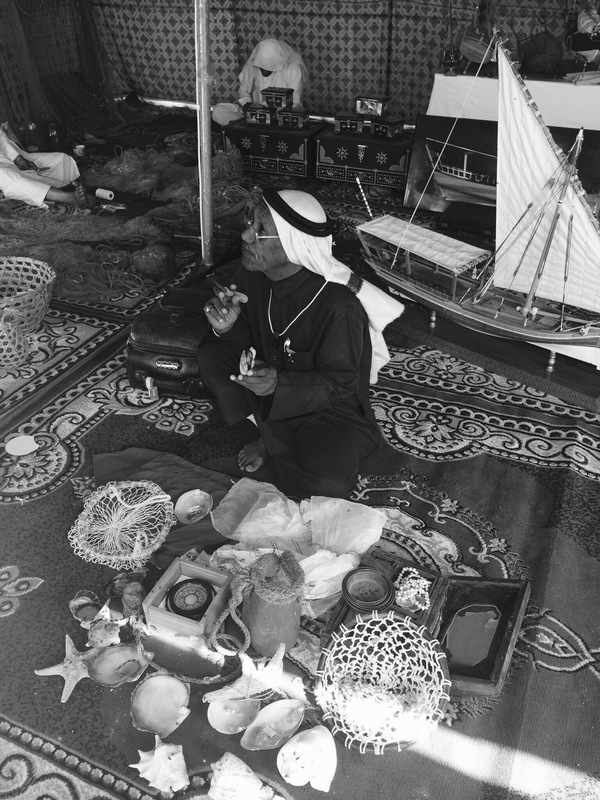 Pahalwan – The Old Pearl Diver shares stories about his ventures out at sea near Madinat Al Shamal in the north of Qatar. Among the items he carries with him are nets, oyster shells and old pearling relics which he has collected over the years. He has set up tent near an old village and archaeological site dating back to the 18th century called Al Zubarah – a place which witnessed much diaspora. Any stories you remember him telling?